We offer hundreds of First Aid and Safety related items. The above is just a sampling of some of the more common. Please Contact Us if you have any questions, would like additional information or are interested in placing an order. Because each work environment is unique, Freedom Sales and Supply, LLC stocks a wide variety of First Aid Instruments to compliment your First Aid Kit of Cabinet. Splinter Tweezer with Magnifier - Find and Remove Splinters with Ease. Stainless steel tweezers have sharpened precision points for easy splinter removal. Tweezers include magnifier to locate small objects not easily seen with the naked eye. Splinter Forcep with Needle - 4.5" Stainless Steel Tweezers with built on needle for removing splinters. 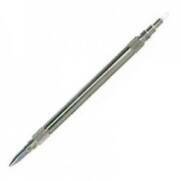 Splinter Probe - Stainless Steel with 4" Knurled handle for a non-slip grip. Probe end stores inside the handle for safety. Foreign Object Removal Kit - The kit includes three of our most popular instruments: Splinter Probe, Splinter Tweezers, and the Eye Magnet and Loop. Convenient case included. The perfect compliment to any First Aid Cabinet. Splinter Out - better than a needle because of its sharp, tri-bevel point designed for loosening and pulling out splinters. Each splinter removal tray is sterile. 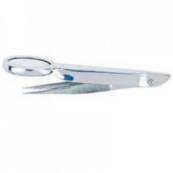 Bandage Scissors - These Stainless Steel, dependable Lister style scissors measure 4.5". Their smooth movement ensures a precision cut with each use.